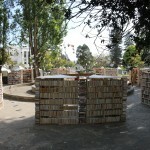 la·cu·na (ləˈk(y)o͞onə/) noun: an unfilled space or interval; a gap; a missing portion in a book or manuscript. 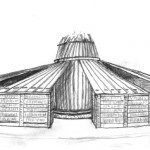 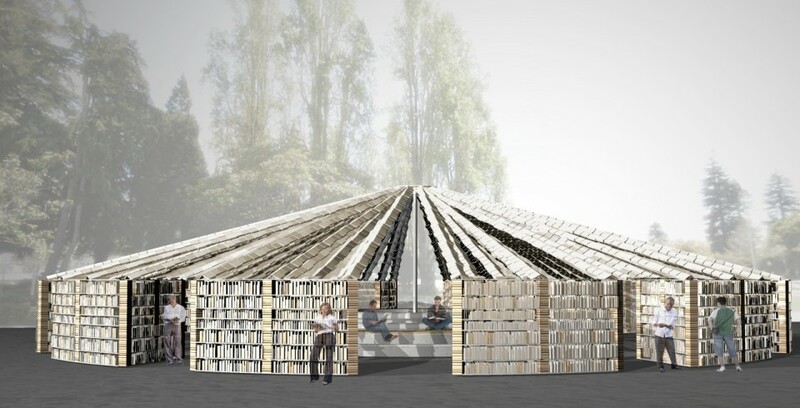 Inspired by the nomadic structures of Central Asia as well as formal civic buildings like Rome’s Pantheon, Lacuna’s design focuses attention on the historical importance of books as a means of spreading knowledge and their more typical ascription as objects of knowledge. 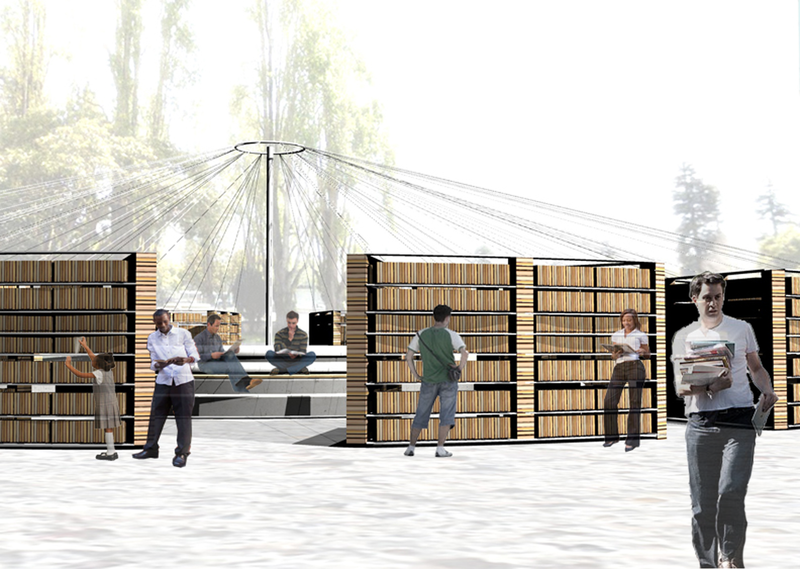 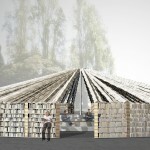 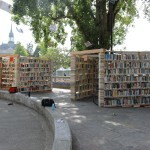 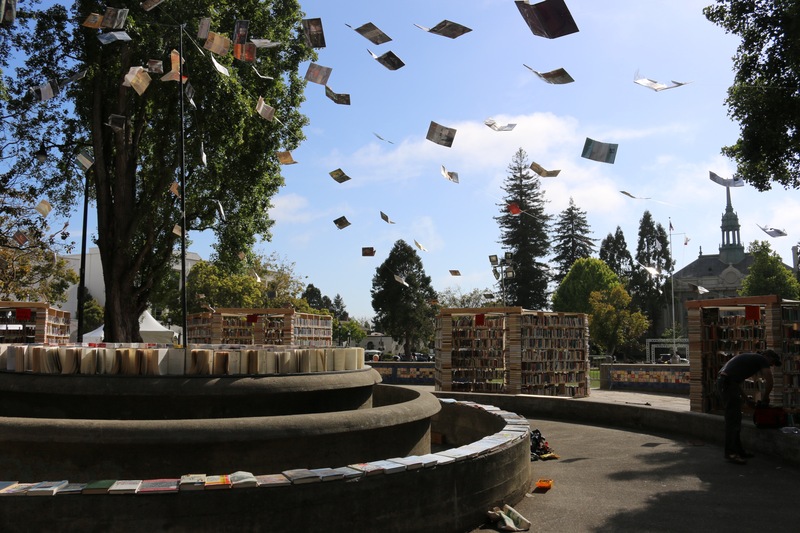 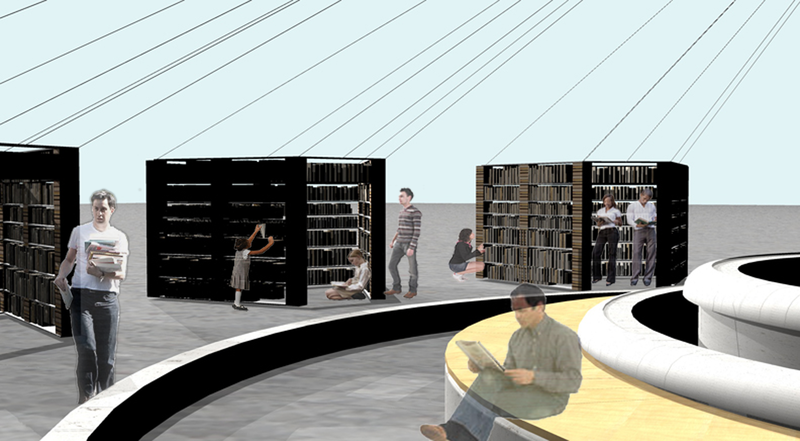 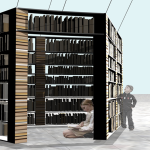 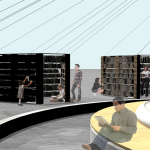 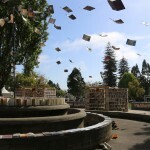 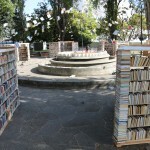 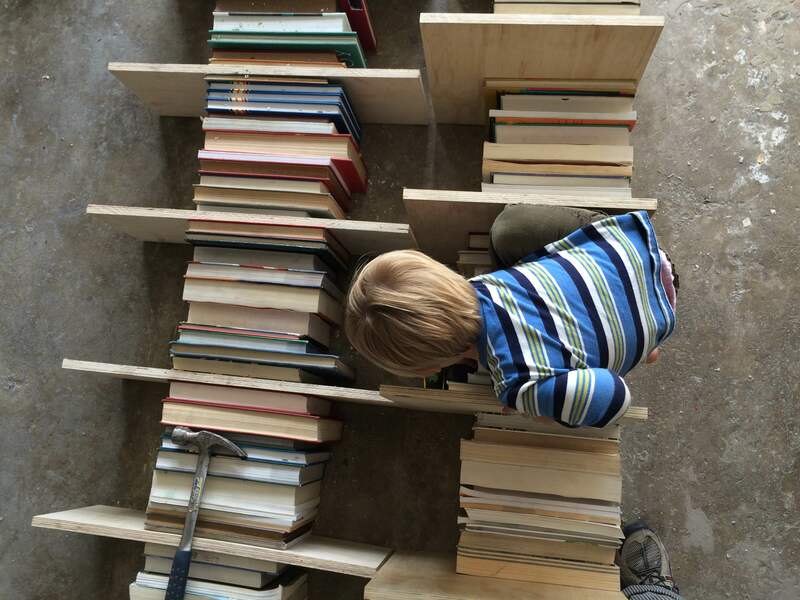 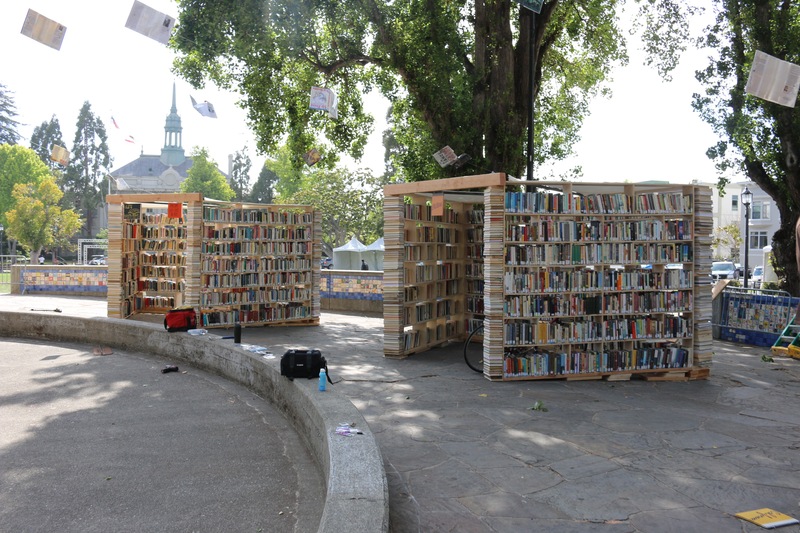 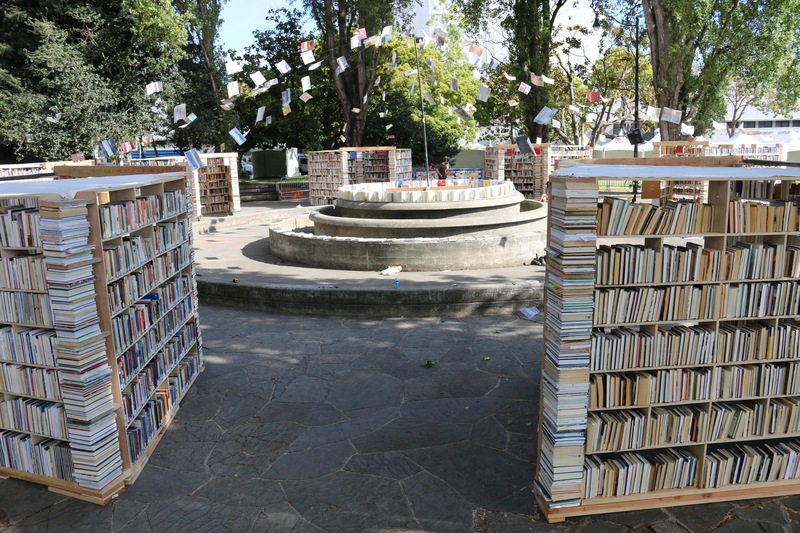 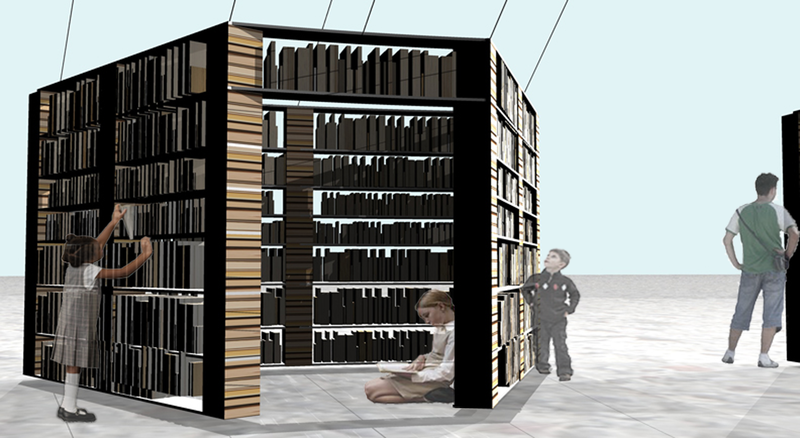 It has been commissioned as a site-specific interactive installation by the Bay Area Book Festival for its inaugural celebration in June 2015 in Berkeley, CA. 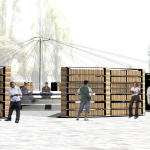 Lacuna uses a tensegrity structure, simple materials, a strong color palette and playful interaction to create an immersive environment that evolves over the course of the festival. 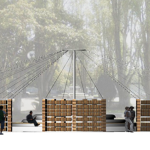 The installation creates an inviting and calming space, offering contrast to—and respite from—the busy energy of the festival. 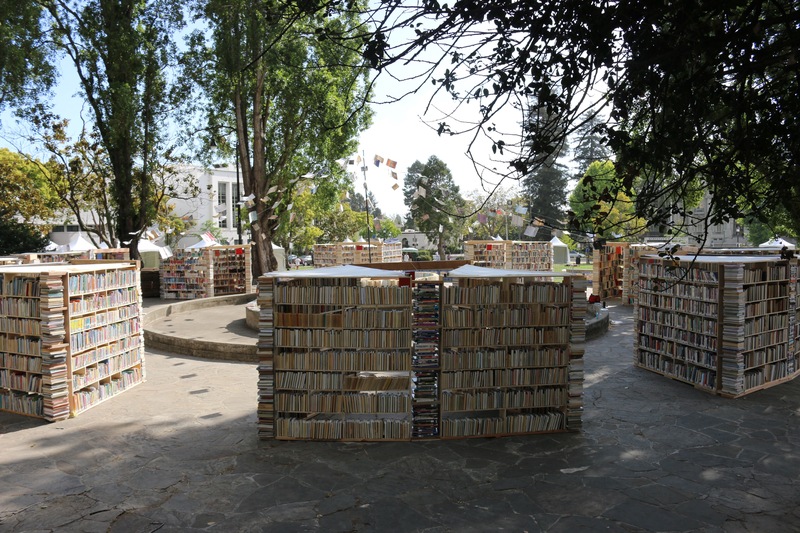 In this space, participants contribute to a cumulative visual experience, peruse the 100,000 books made available by the Internet Archive, engage each other in conversation, and reflect on inspiration from the festival. 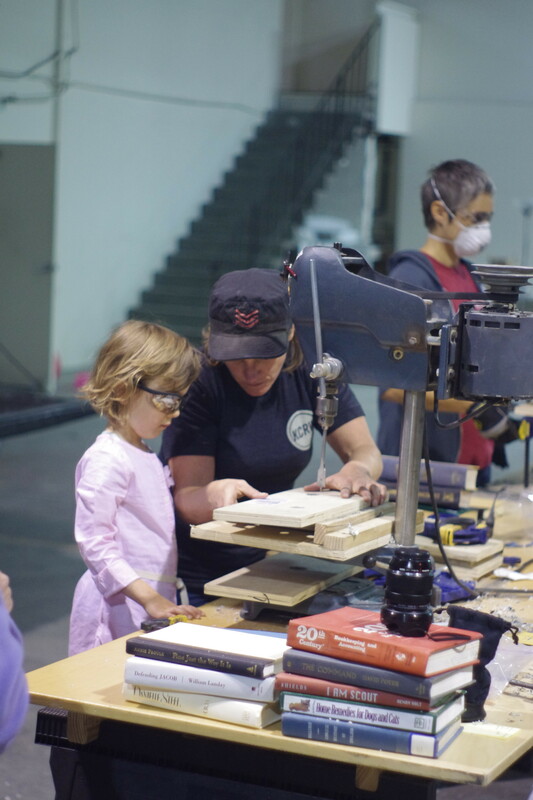 Posted on Thursday, April 2nd, 2015 at 7:12 pm. 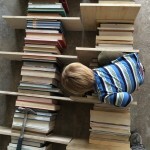 Filed under: Portfolio	RSS 2.0 feed.